With our gift cards, you can treat friends and family to a Harvester any time they fancy. Just choose your amount, from £5 to £200, and whether you want it to be delivered via email or text message. Then the lucky person just needs to show their mobile to spend it. 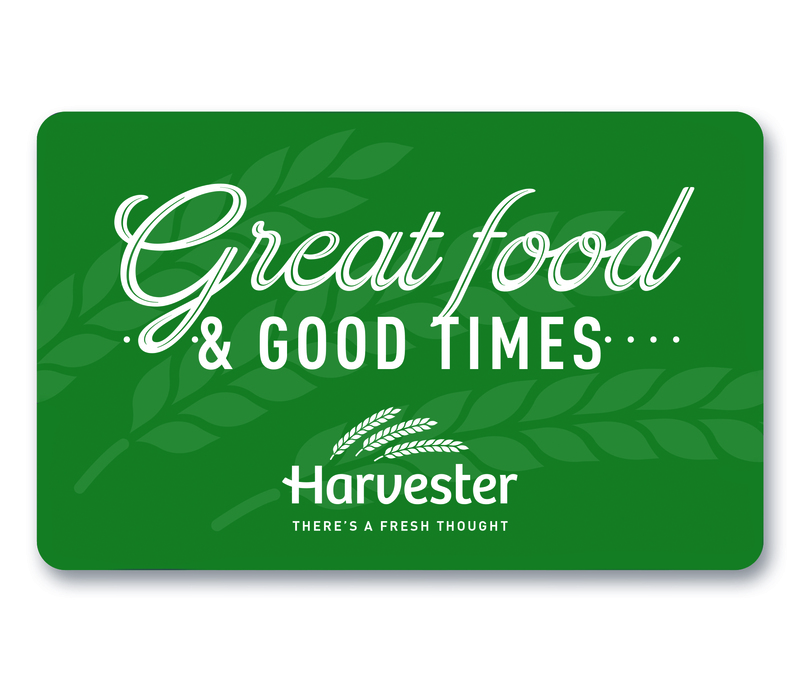 Or you can buy our gift cards in person at any Harvester. 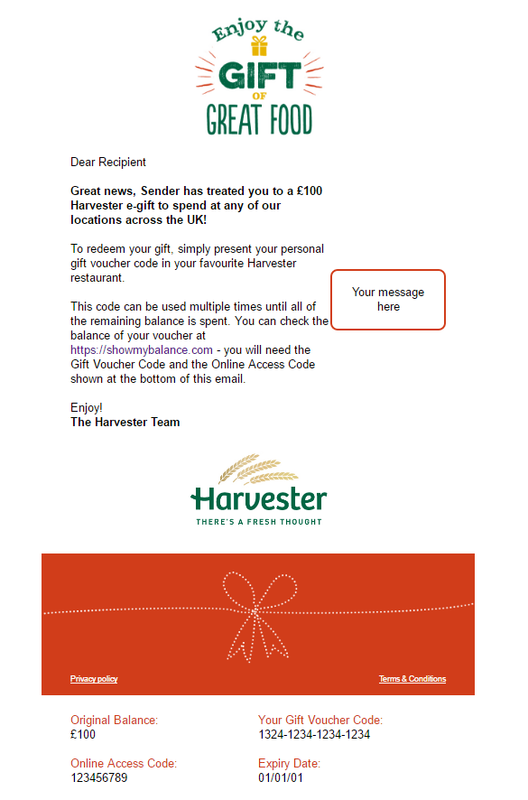 Where can I buy Harvester gift cards? Gift cards are available to purchase online. If you order online you can choose whether your gift card is received by email or by text message (e-gift). You can also buy plastic gift cards from our restaurants. Just pop into your nearest Harvester restaurant and speak to a team member. 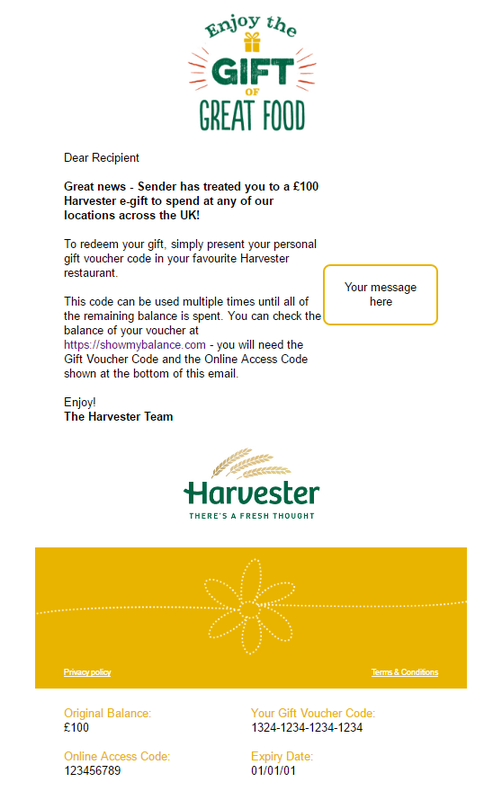 Where can I spend Harvester gift cards? Harvester gift cards (whether plastic, email or text message) are valid at any Harvester in the UK as well as any other Mitchells & Butlers venue. You can search all available venues here. Can I order large quantities of Harvester gift cards?